Instagram is a guilty pleasure of mine on a Friday night. After a busy week at work, nothing is better than the mindless action of scrolling through the Simple Stylish Makes Instagram feed. 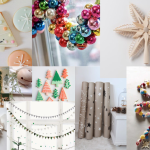 There is nothing more inspiring than flicking through all of the amazing and inspiring crafts that people are creating for all to see. 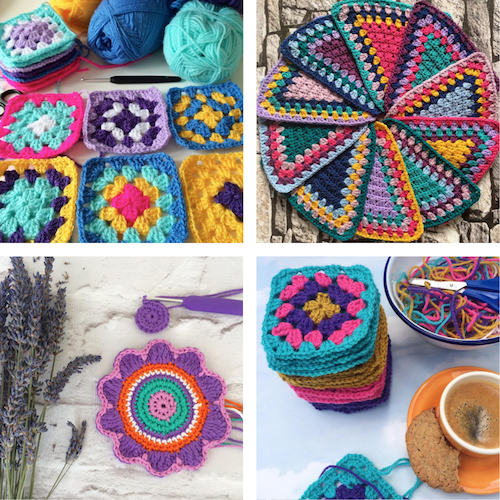 Bellow are ten of our favorite ‘Granny Square’ themed feeds that remind us that even the most ‘old fashioned’ crafts can be re-worked, re-styled, and re-made into exciting, modern, and new makes. Remember that if you would like to be featured in our weekly Follow Friday, use the hashtag #SimpleStylishMakers so that we can find you! If you are more of a traditionalist then Carter & Brown might just be the Granny Square feed for you. 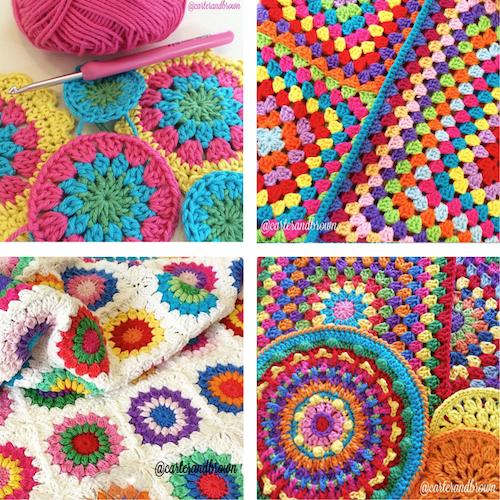 Granny Squares that are bright, beautiful and colourful. This is the perfect place to pick up some inspiration for beautiful, bright, fun projects. 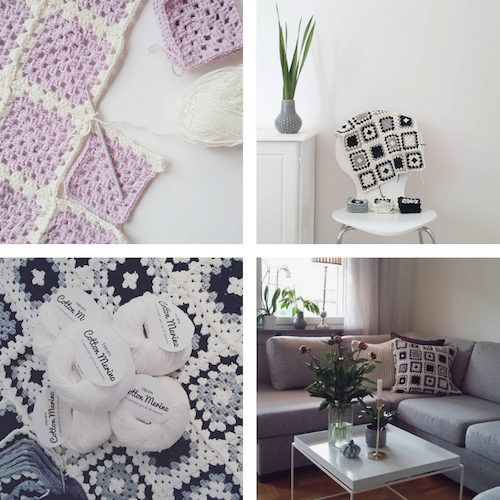 Emilie brings some stunning Swedish simple design to her granny squares. 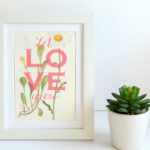 She’s just starting out on Instagram but I think she is definitely one to watch! 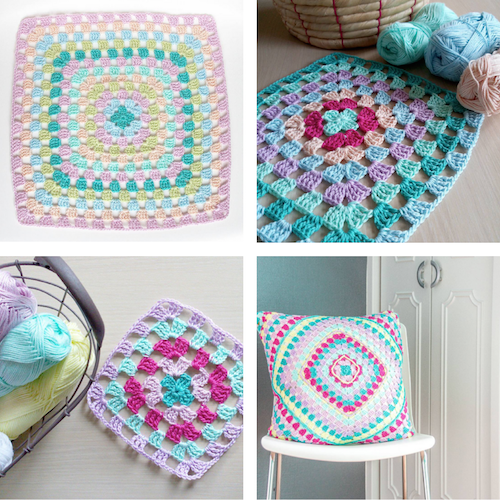 Whether you enjoy bringing a bit of comedy to your granny squares or if you like simple clean minimalist design or if you prefer a touch from way back when, this granny square feed is definitely for you. Mrs. Okurgezer is one of our favorite feeds to flick through when we need a bit of a push with those trickier stitches. 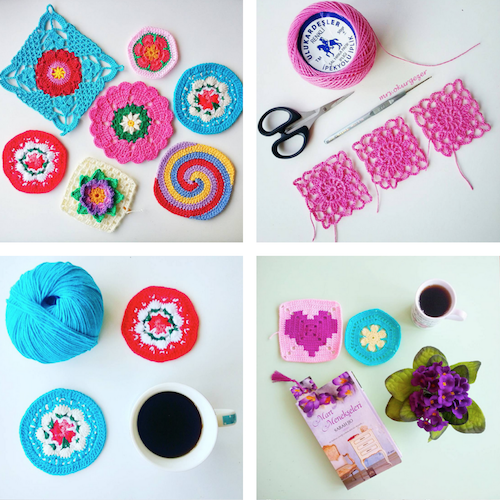 Possibly the most ‘feel good’ feed with granny squares we have found. These stunning pictures of crochet, life, beachs and little ones will make any tough day in the office just that little bit easier. 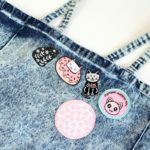 If you are a baker, or a lover of baked goods, as well as a granny square fan, then Laura Makes is definitely going to be top of your feed from now on. Laura make beautiful cakes, bakes and crochet creations for us to literally drool over. You may want to put your sunglasses on before heading over to this Instagram feed. 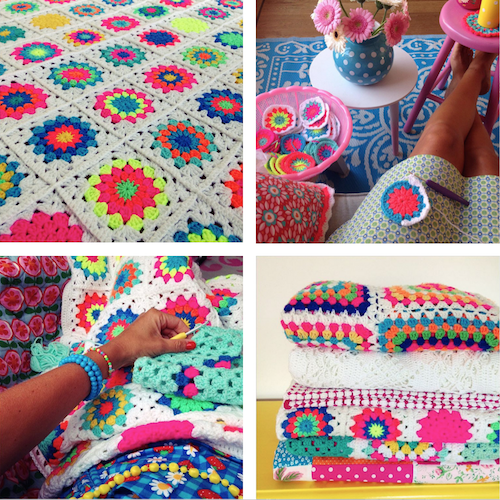 The absolutely beautiful fluro creations give the granny square a new lease of life and will make you want to dash off to your nearest wool shop pronto to fill your home with these uplifting bits and bobs. This mama knows how to make! 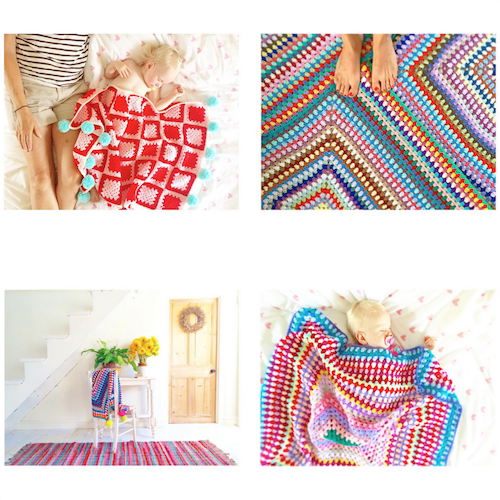 The adorable creatures she creates make me want to dedicatee an entire room in my home to cuddly toys but we are here for the granny squares and this lady’s squares are second to none! Always stunning colour combos and beautifully styled pics that fill us with inspiration every time. If you ever want to end on an up, Flora Fairweather is definitely the feed to head to. 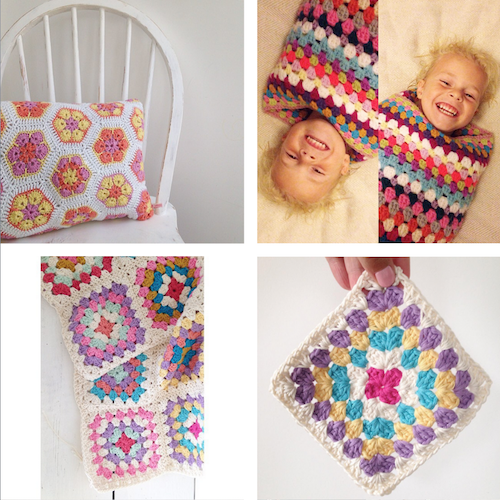 This bright, beautiful feed is full of adorable little ones covered in the most beautiful granny square blankets. The best bit about this feed is that the blankets that you see are often for sale from the Flora Fairweather Etsy shop. Check it out!